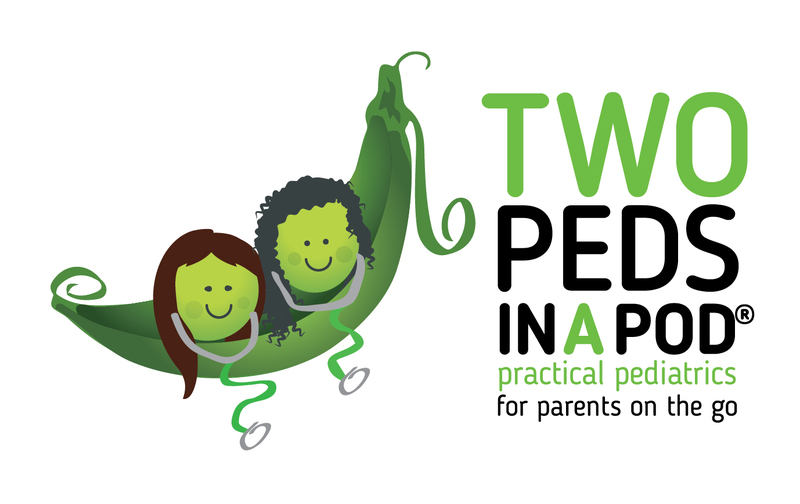 Time for a Two Peds photo quiz. 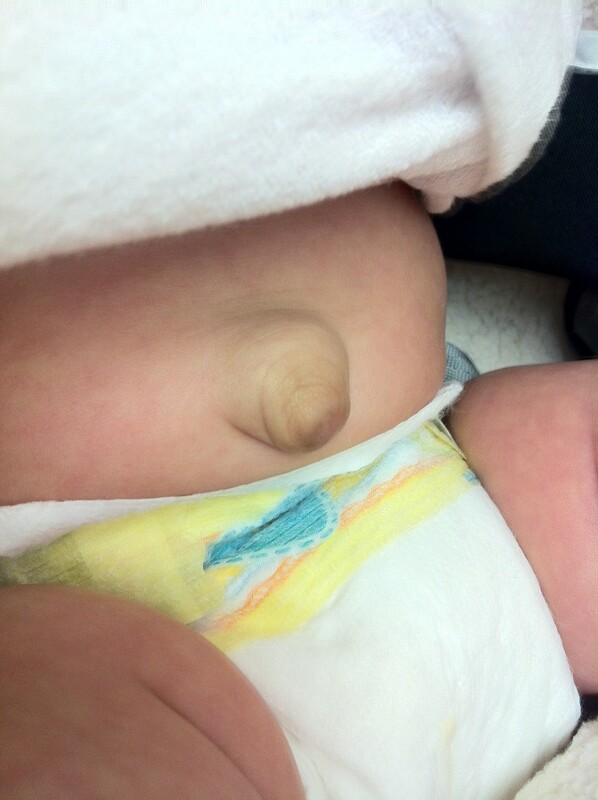 What is up with this baby’s belly-button? It’s called an umbilical hernia, which is an out-pouching at the belly button, caused by loose belly muscles. In the womb, babies’ belly muscles migrate across the abdomen and meet in the middle. Sometimes they don’t meet up before birth, causing a small bit of the gut to out-pouch. Usually more noticeable during crying, umbilical hernias do not hurt, nor do they get “stuck” out like a groin hernia (located at the scrotum or labia) and thus they are not a medical emergency. In fact, they do not even need treatment. Fortunately, umbilical hernias tend to close up on their own by age five years, often much sooner. Don’t do what my grandmother suggested, which was to place a quarter on top of my son’s umbilical hernia and then tie it into place with a belt-like contraption. This does NOT hasten the hernia’s resolution. Sometimes if an umbilical hernia is particularly large, it fails to regress after a few years, and at that point, for cosmetic reasons, a surgeon can repair it.